"Frank" is a comedy about a young wannabe musician, Jon (Gleeson), who discovers he's bitten off more than he can chew when he joins a band of eccentric pop musicians led by the mysterious and enigmatic Frank (Fassbender) and his terrifying sidekick Clara (Gyllenhaal). 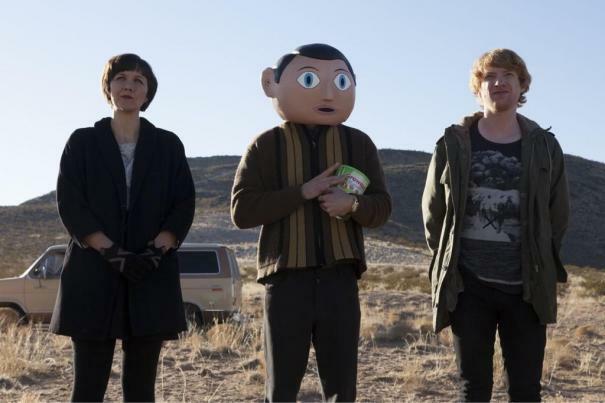 "Frank" is based on the memoir by Jon Ronson and is a fictional story loosely inspired by Frank Sidebottom, the persona of cult musician and comedy legend Chris Sievey, as well as outsider musicians like Daniel Johnston and Captain Beefheart. 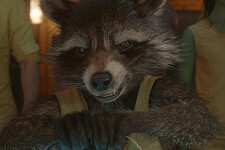 Guardians of the Galaxy, Doctor Who, Dolphin Tale 2, Frank, Mork & Mindy and more!